The Bold series is developed from designer Roderick Vos' fascination with laser cutting technology. With the use of a laser, a form or pattern is cut in sheet metal with extreme accuracy. The technology allows the sheet to be handled very efficiently with very little waste. 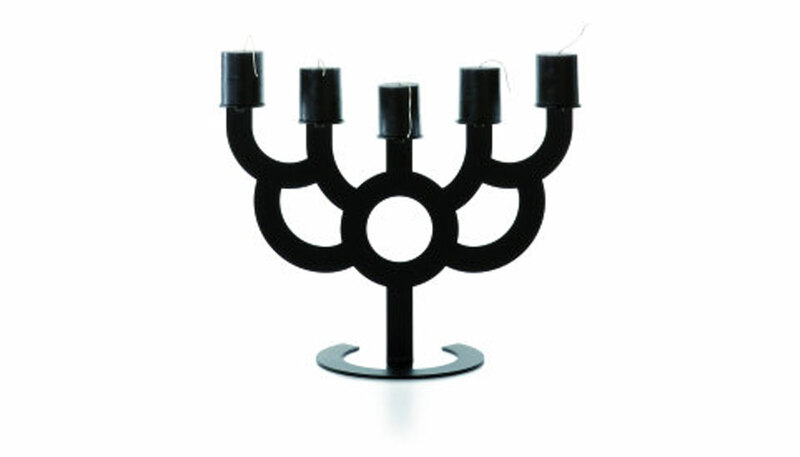 The black candle holder is made of powdercoated steel with felt feet. The timeless appearance of the Bold series endows it with charisma, making it a worthy addition to the Moooi collection. Manufactured by Moooi.